This playground, located in the French Regional Park, is a classic wood and rope playground. The large, interconnected system of spider web rope nets, wooden posts and tires let children test their balance and strength and enjoy some friendly competition with their friends. While not flashy in any way, the park provides hours of entertainment as children climb, jump and maneuver their way through the equipment. 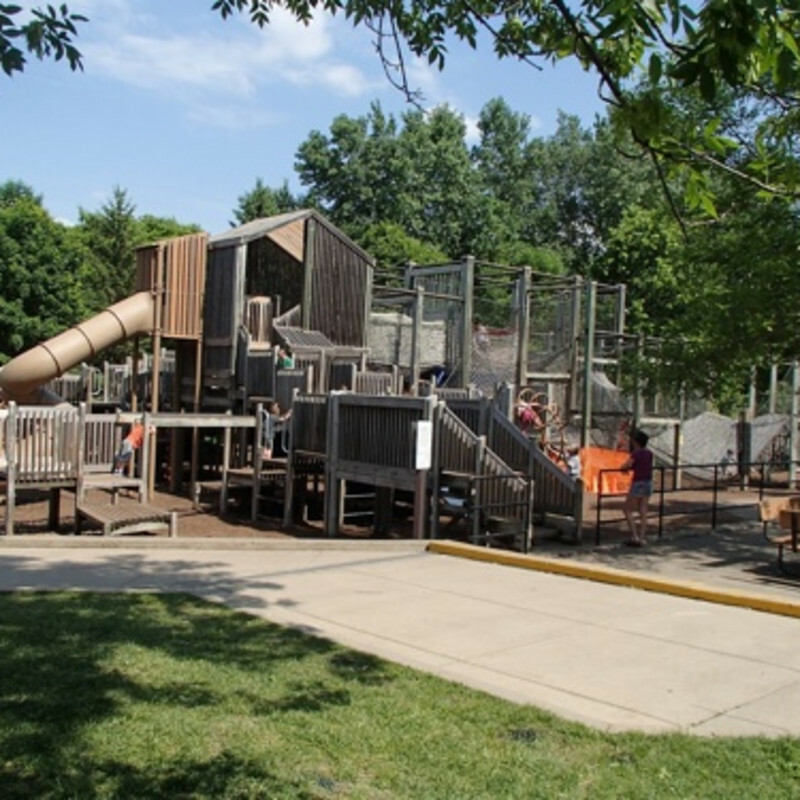 The park also features areas that are more suited to toddlers and their abilities.